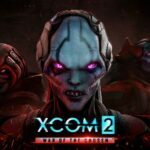 An exciting rumor about a mysterious XCOM 2 DLC probably under developing is coming out in these days. These rumors are due to the fact that lately in the steam database there were several suspicious movements. Here you will find more details.